A 22-year-old man has abandoned his wife and married Asha Devi, who happens to be her his mother in-law. Matho Suraj was said to have abandoned his 19-year-old wife, Latila, for the mother after she paid them a visit when he was unwell. According to India Times, Asha left her husband who is a factory worker’s home in Delhi and started living with Suraj and had a court marriage and a formal temple wedding in June. 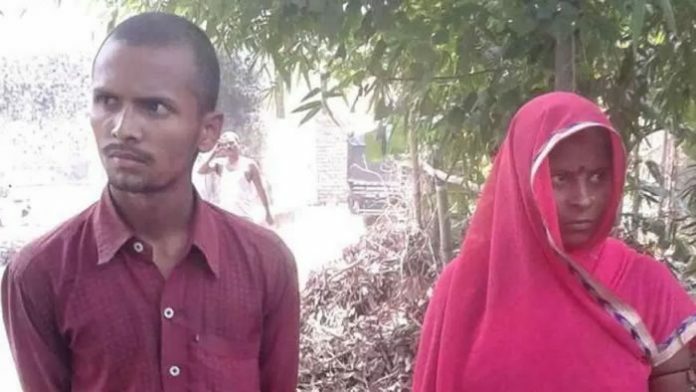 Mahto claimed to have fallen in love with his 42-year-old mother-in-law when she came to stay with him and his wife in the village of Puraini in Bihar, in the north-eastern part of India in 2015. 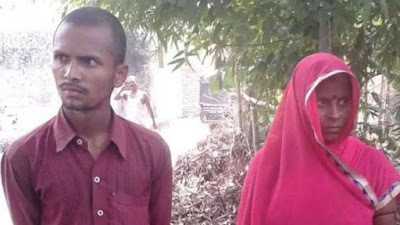 “The couple is madly in love and there is no reason to separate them,” the panchayat ruled. However, Suraj is now pleading for the marriage bond to be broken so that he could return to his former wife, Latila. He said he had now realised his foolishness. “I have come to realize my foolishness. I admit I have committed the mistake, but will never repeat in future. Now, I no longer treat her (Devi) as my wife, rather, I have started paying her regard as a mother and an in-law that she is. “I am on my knees, I’m begging Lalita to take me back home for the sake of our son,” Mahto added.